Home » Video Monetization » YouTube Channel Suspended – What to do? 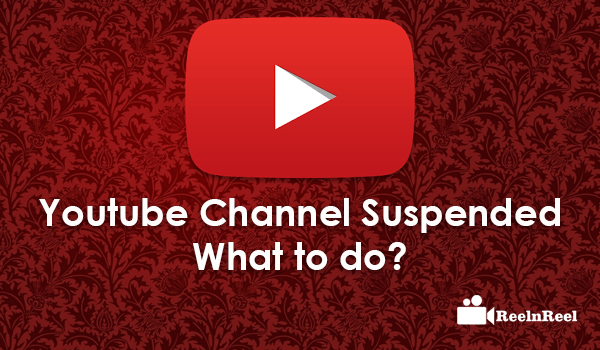 YouTube platform has certain rules and regulations that must be followed by the users during their use, if you violated the rules or guidelines of YouTube, their account leads to suspension or termination. Sometimes, you may get the email that your account was terminated though you hadn’t done any violations on the YouTube. At that time, the user can counter file a report to the YouTube with explanation. The Counter notifications must be submitted by you only along with the relevant information. And it will not get forwarded to any other party. The counter filing must be submitted using the web form provided by the YouTube which can access via copyright notices section on your YouTube account. It takes some ten days to complete the process, and during the time of processing, you are ordered to keep your content down. If you violated more rules than the counter file cannot be accessible by you. If you follow these two things you account was not getting suspended. One thing is creating unique titles, thumbnails in your video, not copy content. The second thing is you should not violate YouTube Terms and Conditions. You can follow the above procedure to get your suspended account back.